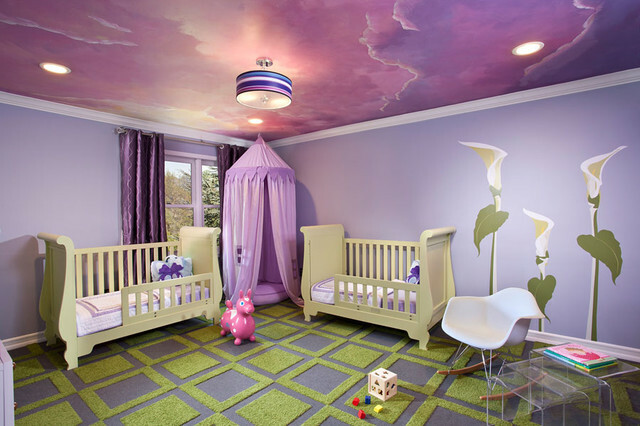 Modern Nursery - Designed by EMC2 Interiors NYC. I hand-painted it. If you're interested in having it painted please let me know. The canopy thing in the corner is like a secret book nook - I like it!